Mandatory bar membership for lawyers is under review in some states following a recent U.S. Supreme Court decision on union dues. In Janus v. Afscme, the petitioner challenged forced membership into a union because annual dues were being used to subsidize political speech which he did not support. The Janus decision may potentially be applied to state bar memberships if attorneys’ dues are being used to support political speech. While membership in some states is voluntary, there are at least 32 states with mandatory bar association membership for lawyers. 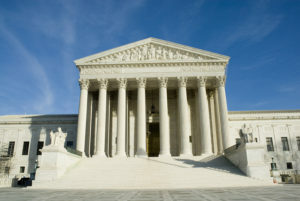 In June 2018, the Supreme Court reached its decision in Janus: mandatory union fees are invalid without the consent of public sector employees. 1. Employees must manifest their consent because silence is not enough. 2. Forcing government employees to support political speech was unconstitutional because it was a violation of their First Amendment right to freedom of association. After issuing this opinion, the Supreme Court justices ordered a lower court in North Dakota to reconsider its decision against an attorney who challenged mandatory bar membership because the state bar association allegedly subsidized political speech. Just as the Janus ruling determined government employees’ right to freedom of association was violated, the North Dakota court may overrule it decision against the petitioner Arnold Fleck who made a similar argument. Mr. Fleck argued he did not support the political speech of the state bar association in North Dakota. Even though the Supreme Court has not previously ruled against regulations addressing mandatory bar membership at the state level, the Supreme Court has recently established through Janus that silence does not constitute consent. It is not necessarily the requirement to join a bar association that is unconstitutional. It is what the state bar association does with the annual dues. By using member dues to promote political speech, a state bar association is potentially violating its members’ freedom of association. Attorneys may be able to use this logic to challenge regulations on lawyers in their states if they are forced to join state bar associations that use member dues to support political speech without their consent and in violation of their freedom of association. Attorneys and state bar associations will want to keep up with the North Dakota court’s decision in the Fleck case. In another case that was filed last week in Oregon relating to mandatory bar membership, attorney Daniel Crowe has filed his case on similar grounds because the state bar association has expressed political opinions which Mr. Crowe argues he should not be forced to financially support. While it is just a possibility that North Dakota may reverse the Fleck decision, the Supreme Court ruling could affect at least 32 other states if mandatory bar membership is ruled unconstitutional. Some of the top bar associations include California, New York, Florida and Texas. If your law firm is asking how you can get more business, give us a call. We have helped more than 150 law firms in 36 states pursue new business opportunities. We make it our business to identify who you need to contact at corporations, insurance companies, and municipalities to be considered as outside counsel. 1. We are a leading U.S. legal marketing agency specializing in new business development. We know the outside counsel process and can accelerate your business development efforts by identifying who you need to contact. 2. You get a structured business development process. We guide your law firm through a proven three-step campaign that brings discipline, focus, and productivity to your marketing efforts. 3. Increase revenue with professional, Bar-compliant legal marketing campaigns. We do the research to identify prospects, so you can focus your time on the business development process. We have in-depth knowledge of attorney advertising guidelines, and strive to prepare bar-compliant marketing materials. Contact Margaret Grisdela, a legal marketing consultant, at 866-417-7025 or via email. Connect with Margaret Grisdela on LinkedIn. This article is provided for educational purposes only. It is not to be interpreted as legal advice or an opinion in regard to any topic discussed. The article should not be used as a substitute for legal advice from a licensed attorney in your state. Every situation is different and circumstances vary widely depending on the governing state law, policy provisions, and related considerations.